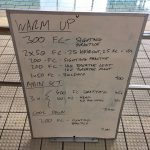 This week’s pair of swim sessions and as it’s May and open water venues are opening up I thought it was time to practice some open water skills. 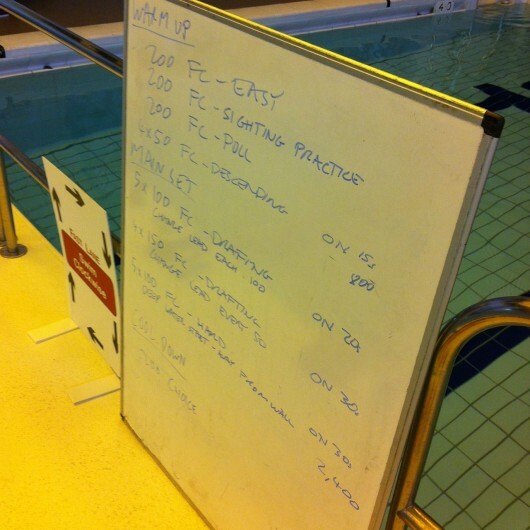 For once I didn’t want my swimmers leaving 5 second gaps – the main set today focussed on drafting practice, sitting on the feet of the person ahead (no foot tapping, it’s annoying). 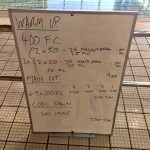 Then, to finish, a series of hard 100s without a wall push off to start, practicing deep water starts and getting to speed without the benefit of the wall. 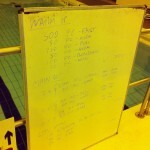 The faster athletes added some extra 50s as 25m easy swim, get out, 25m hard from a diving start too. 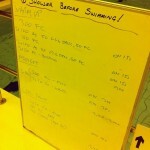 We have a new goal for a few of the Thursday swimmers – 400m Medley before the year is out. 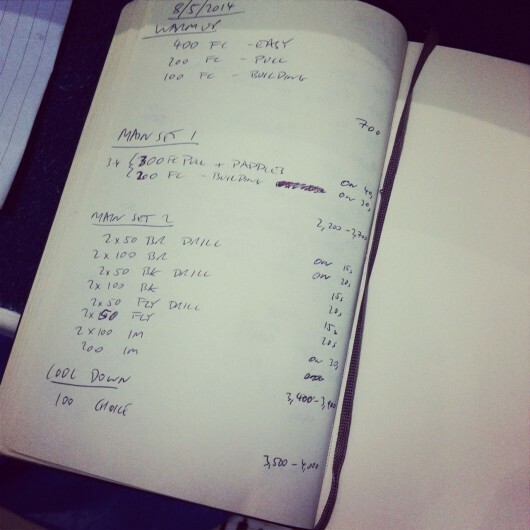 Some could probably get through it now, others have a long way to go, but to work towards it the faster lane is now doing the Medley set (main set 2) first then switching to crawl. It’s a little more challenging for me, I’m less experienced coaching the other strokes and it means I’ve got more to keep an eye on. It’s more challenging for them too – switching back to crawl after a lot of fly was new. It’ll keep things interesting over the next few months though.